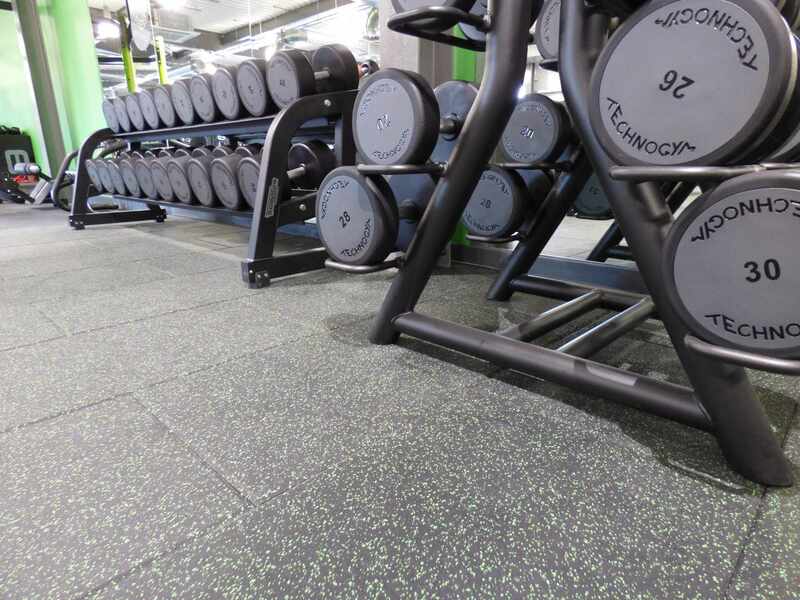 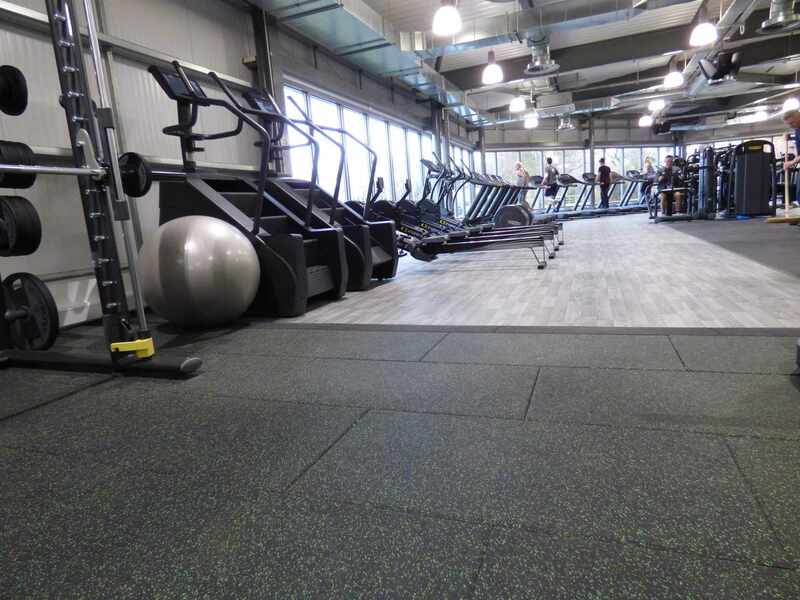 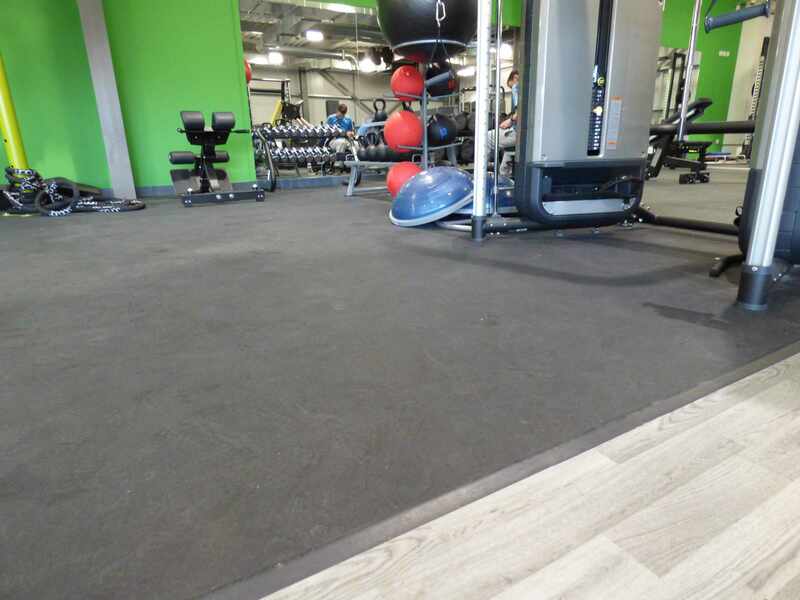 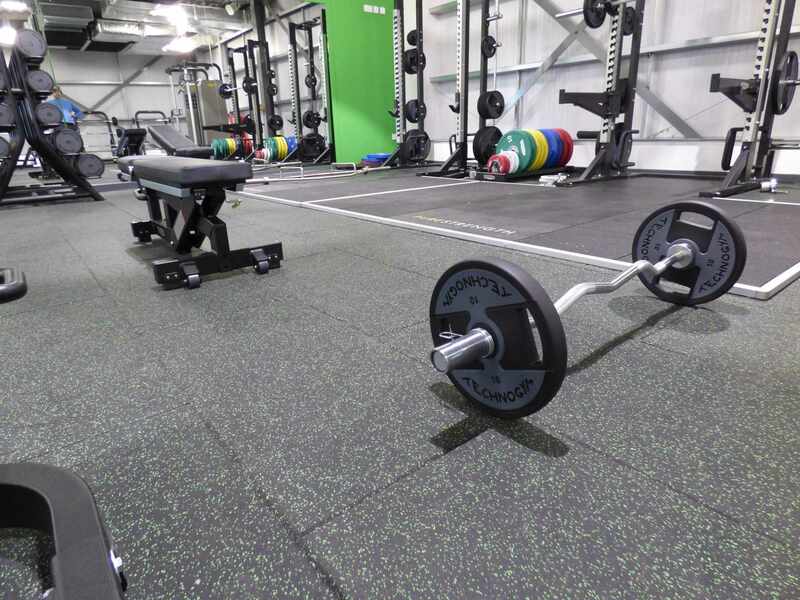 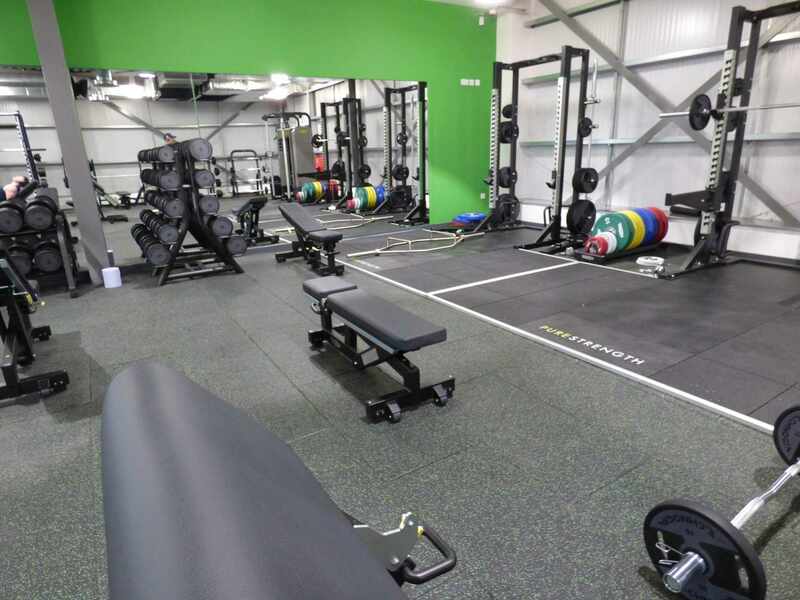 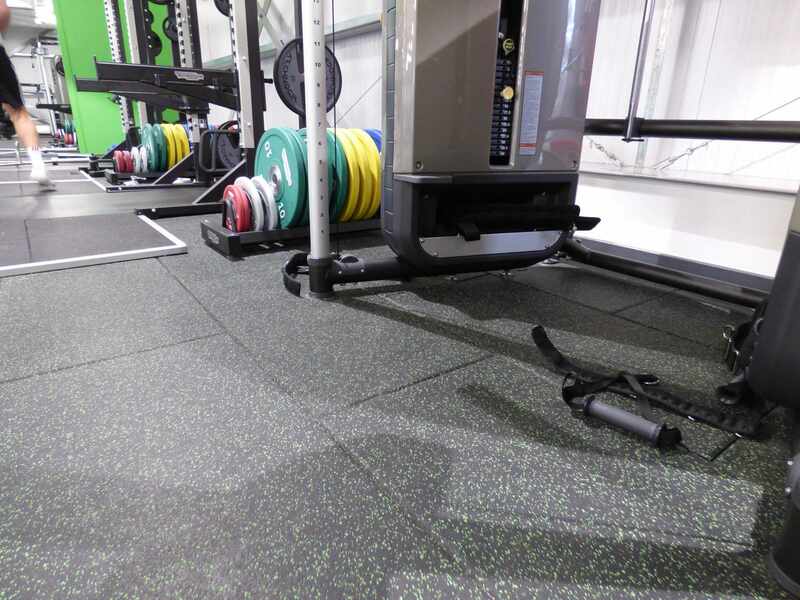 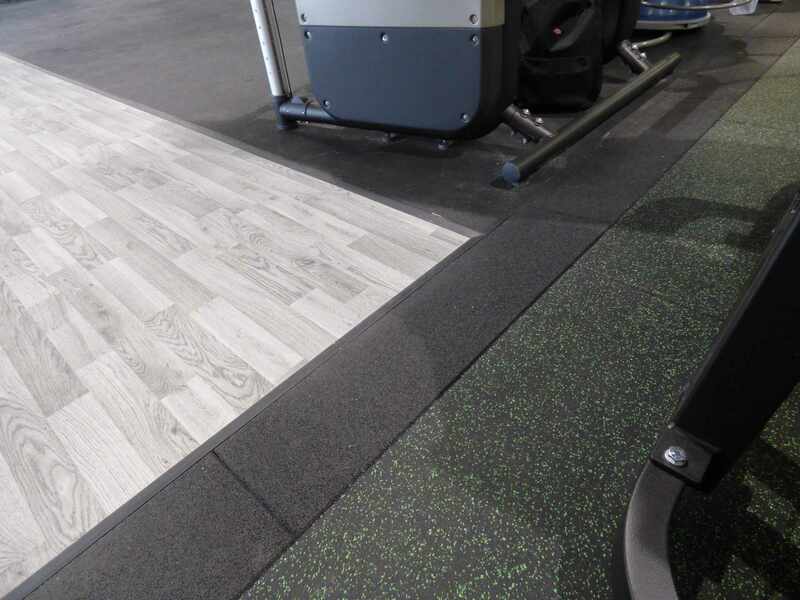 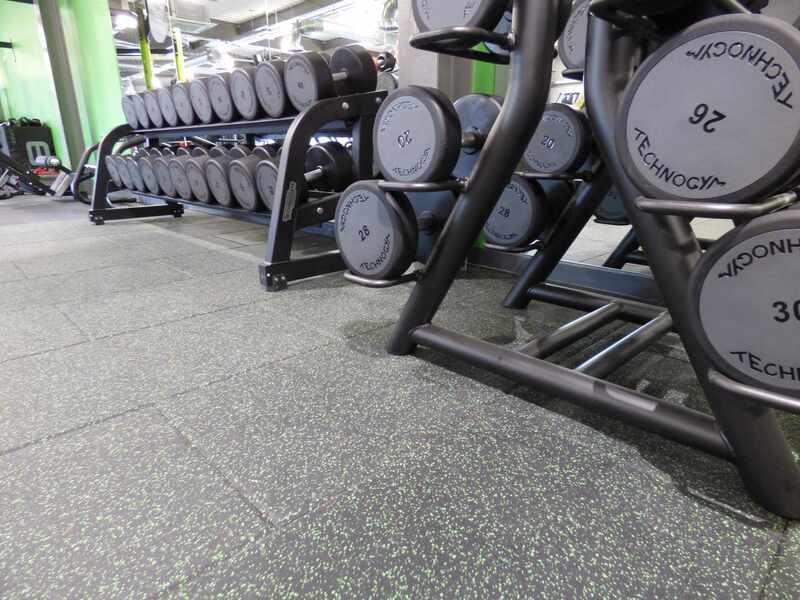 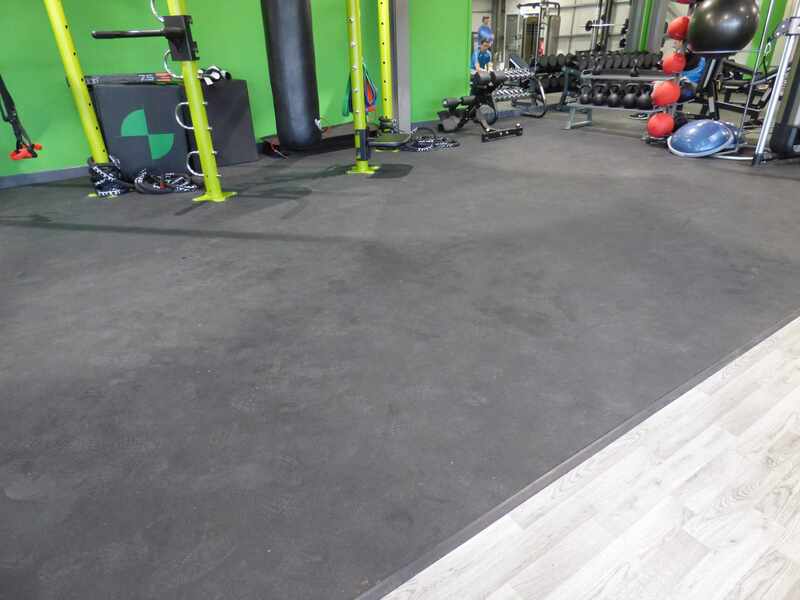 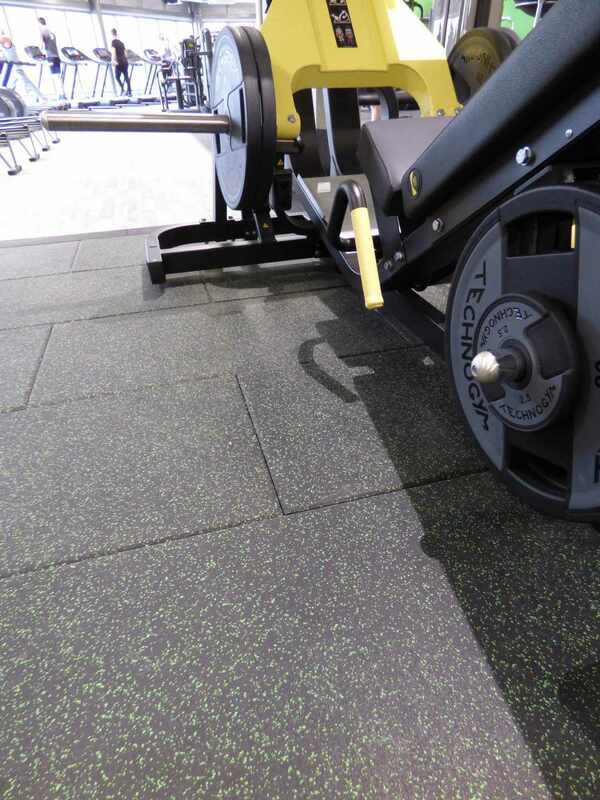 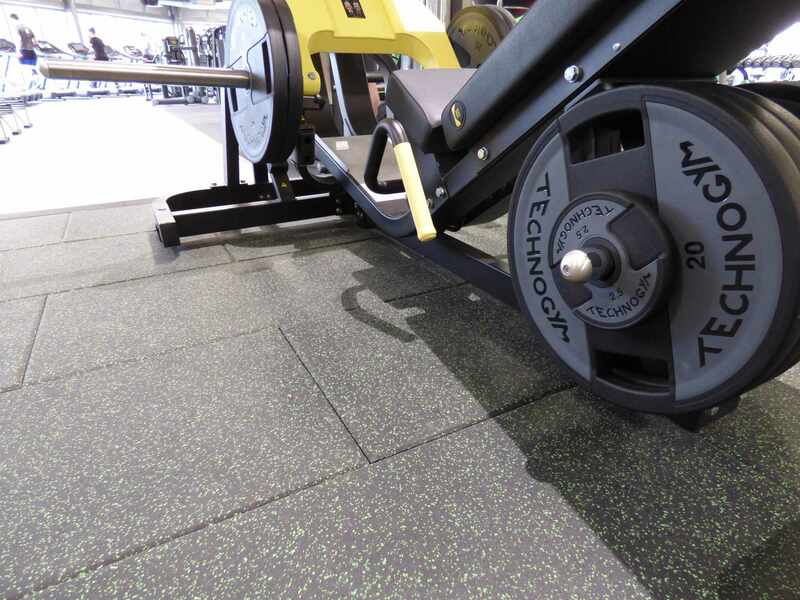 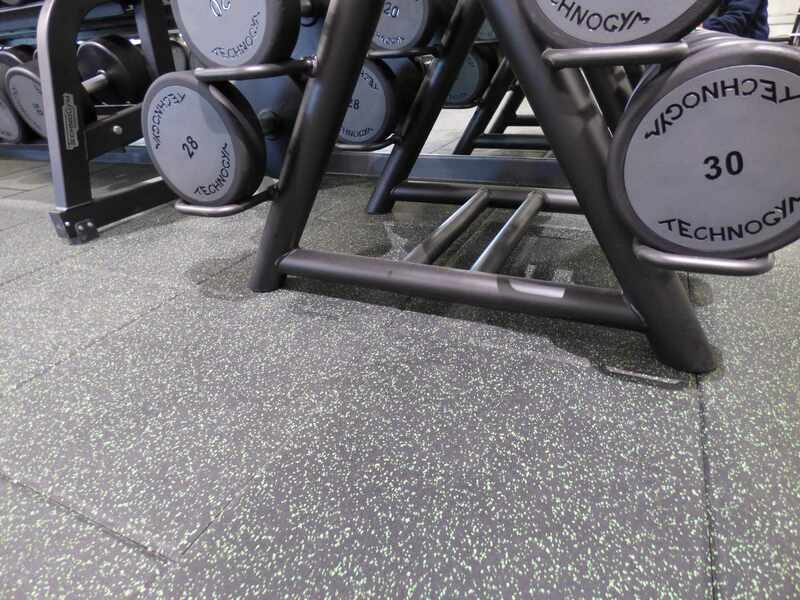 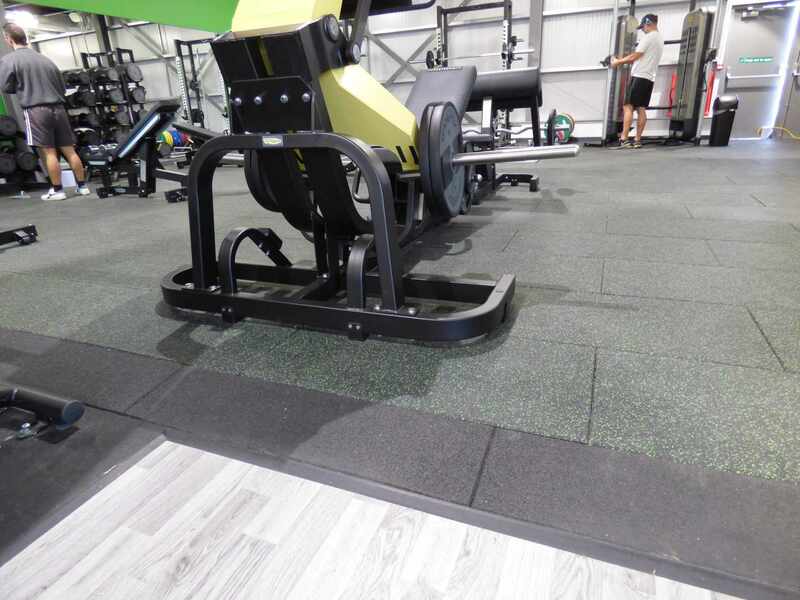 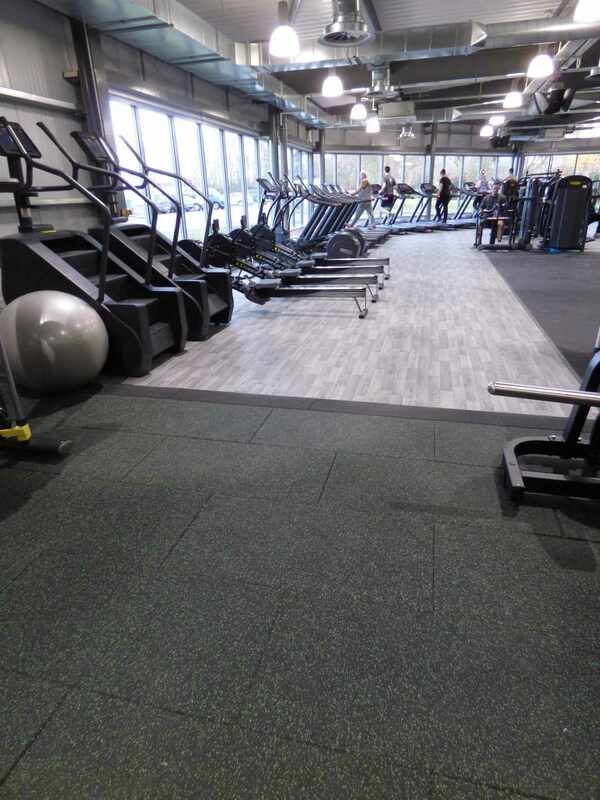 TVS Sportec Style 40mm tiles in Black/Green were used to the weights areas. 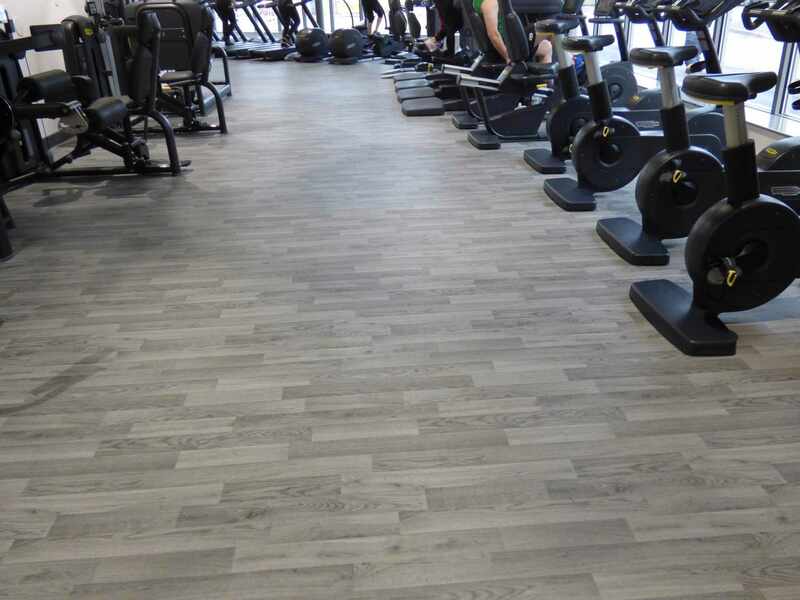 Sportec Colour in Black to the Aerobic weight area. 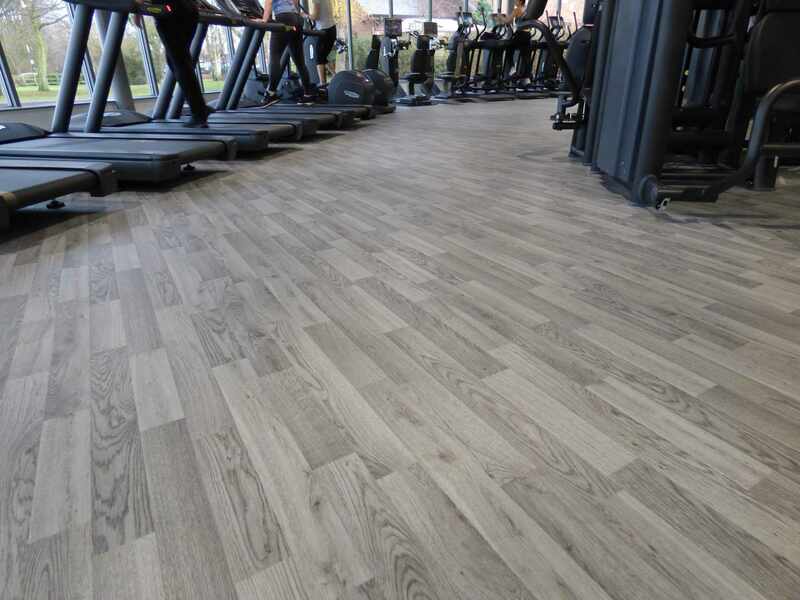 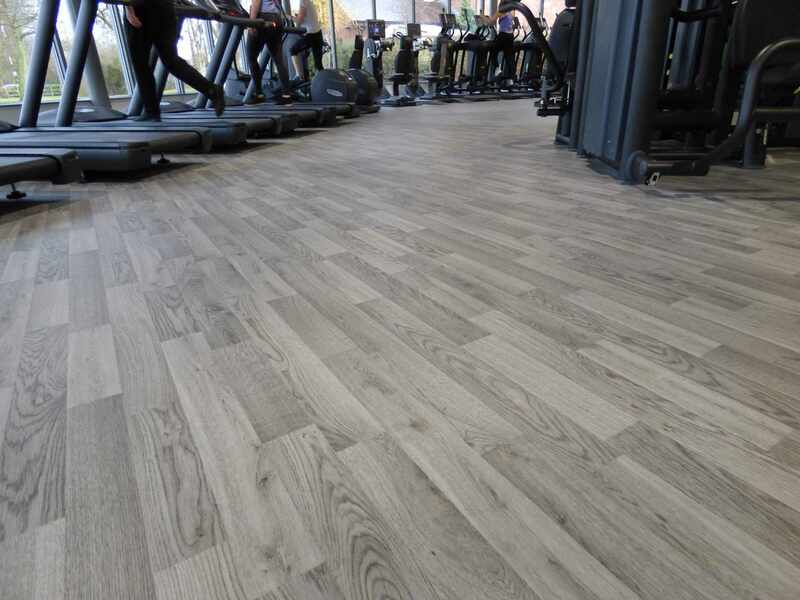 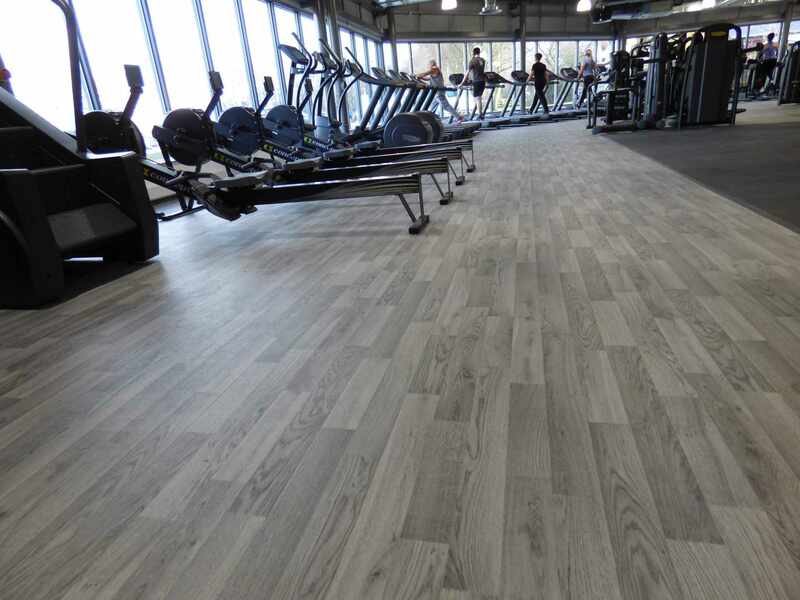 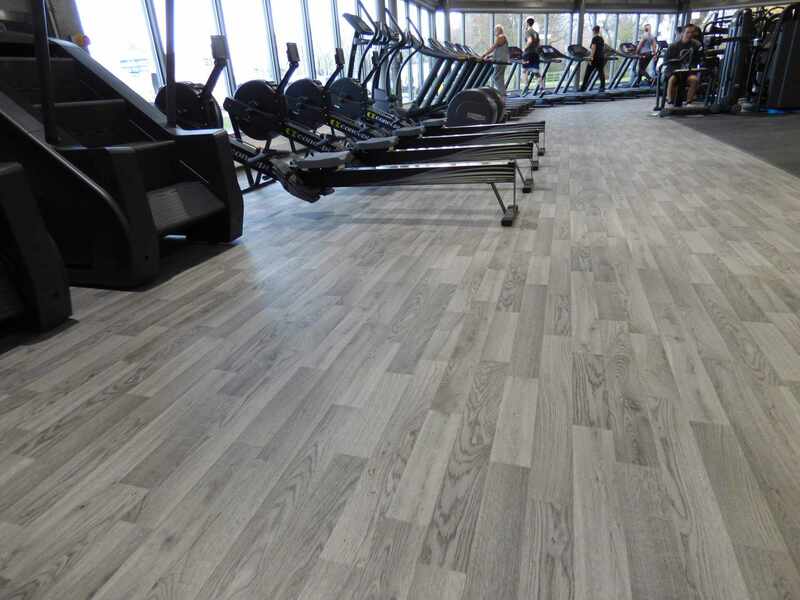 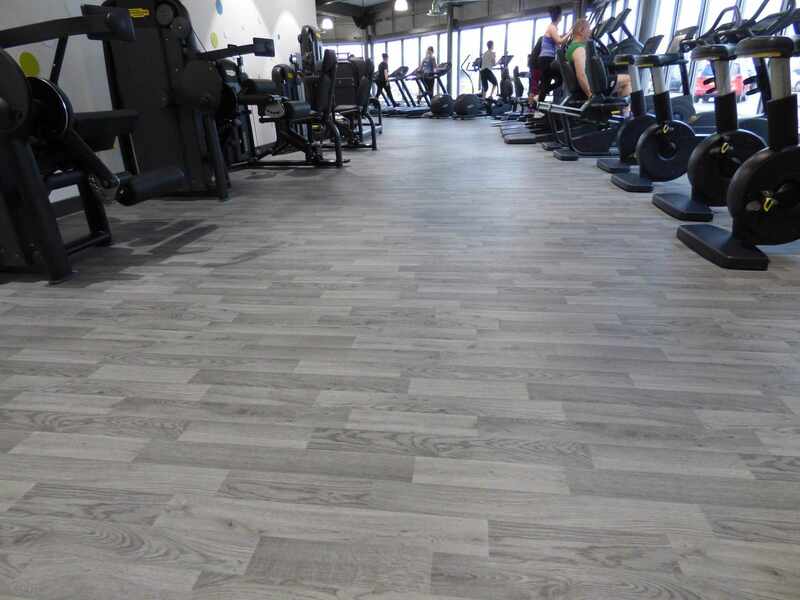 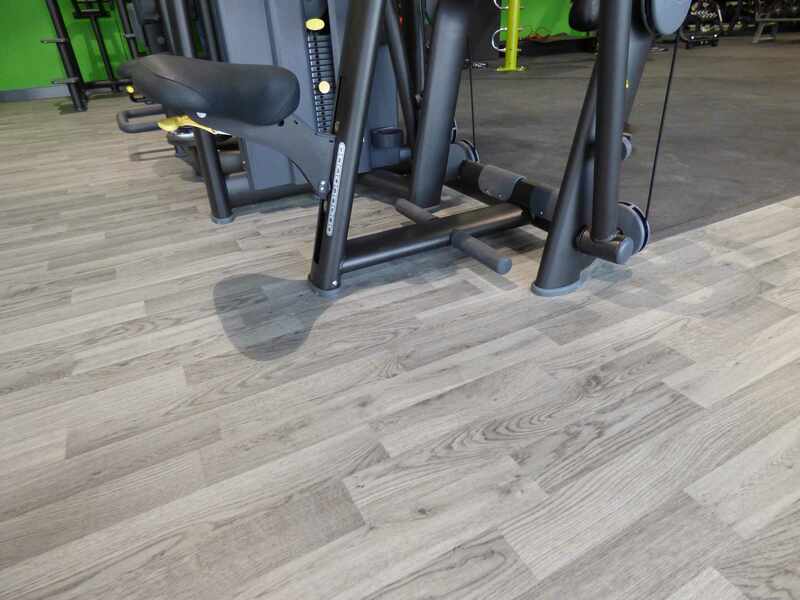 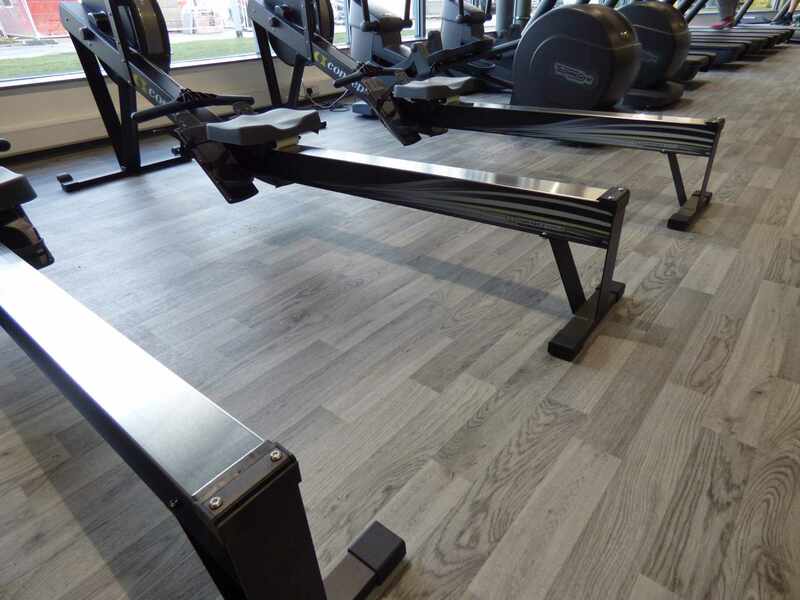 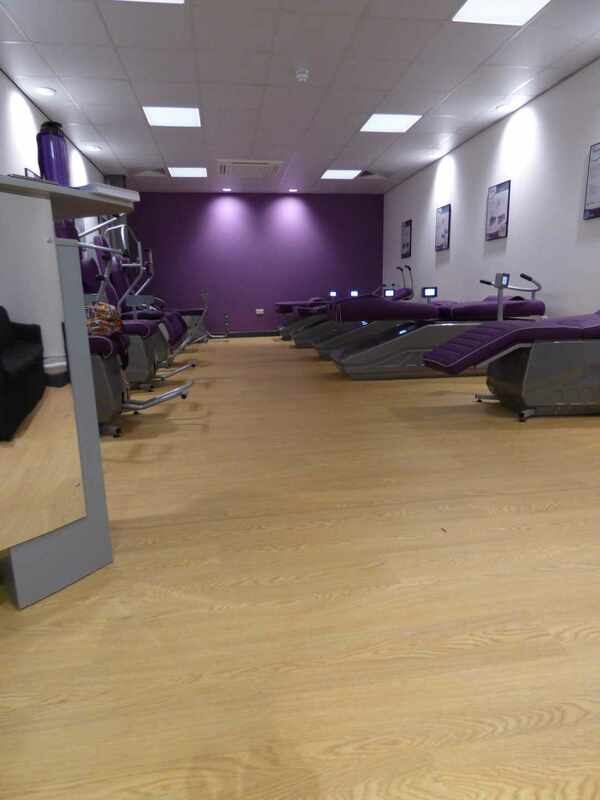 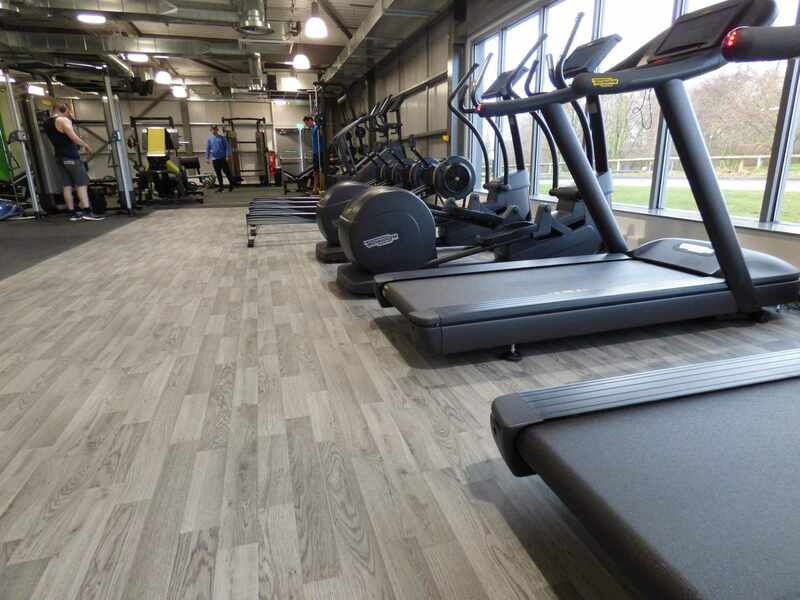 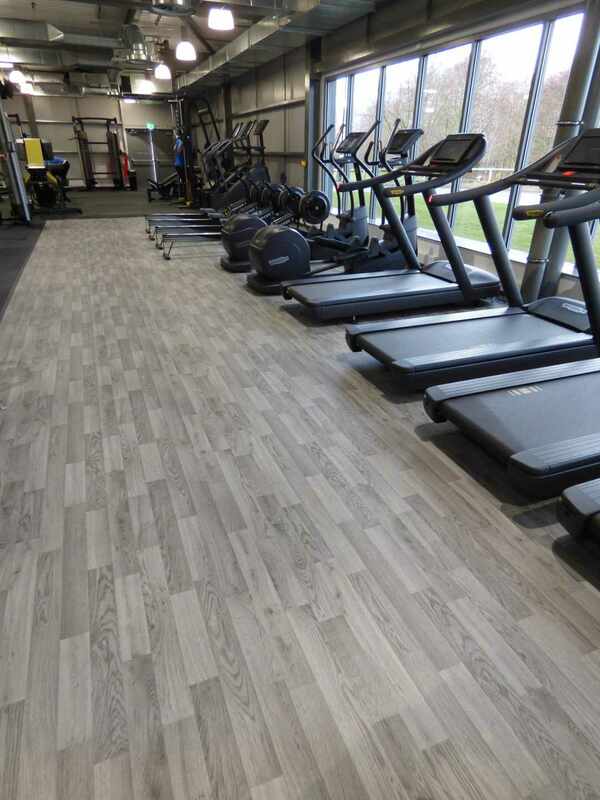 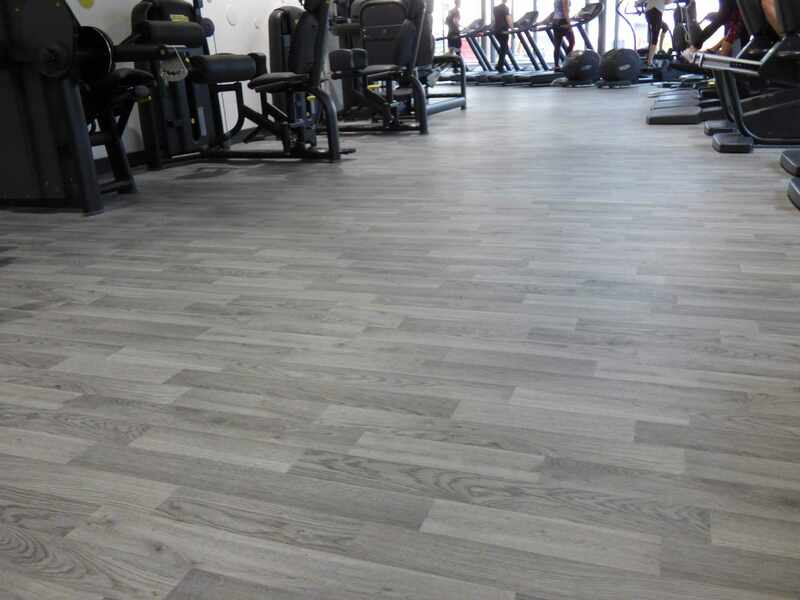 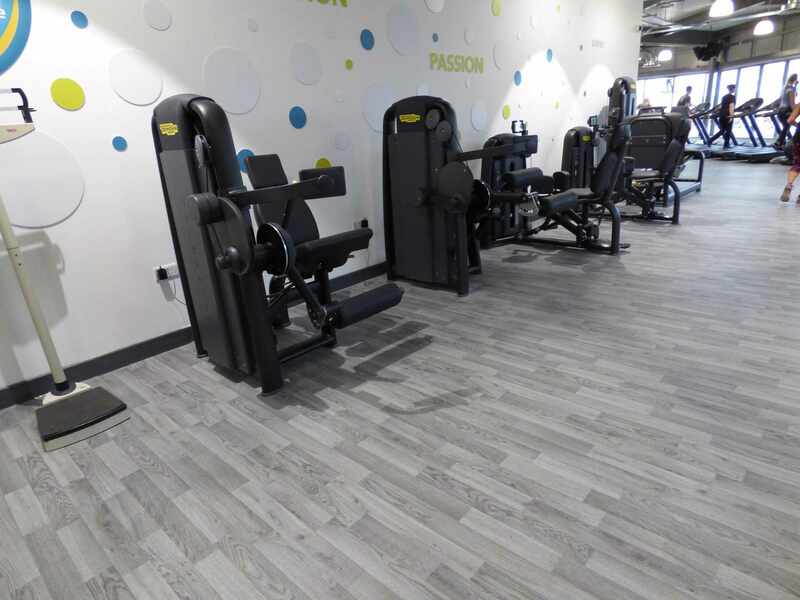 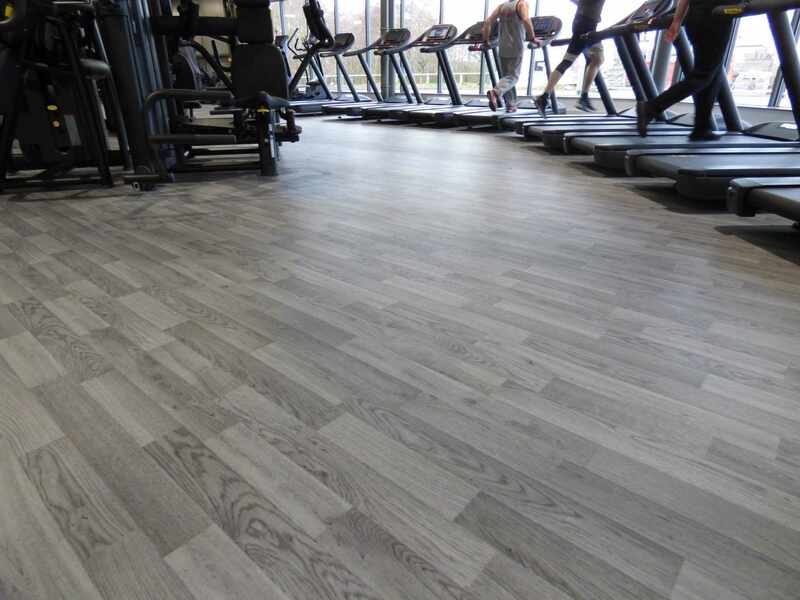 The fitness suite to the spin and running machine areas, and the multi-purpose room were fitted in Polyflor Forest FX in a Silver Oak finish. 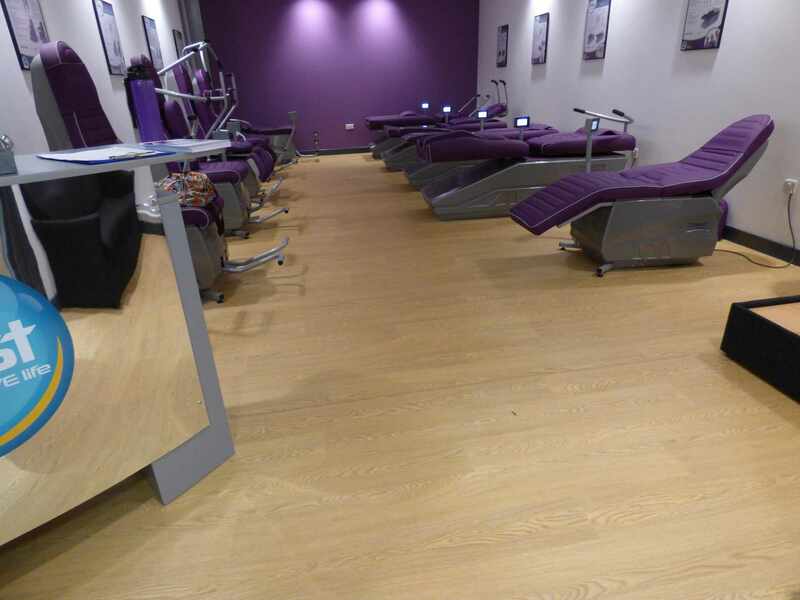 Dance and Toning Studios were fitted in an Acoustic classic Oak finish.